Be it any special occasion or any festivals, celebrations are incomplete without sweets in India. 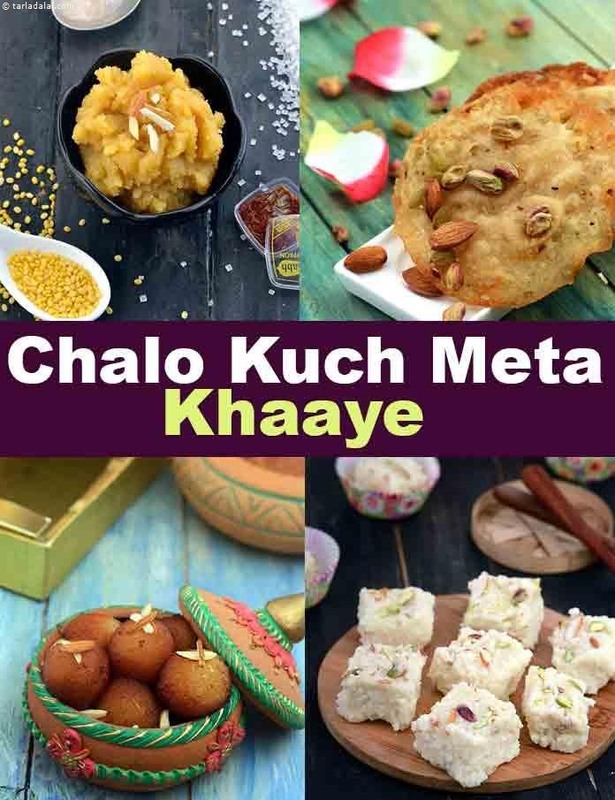 From sweets like Atta Ka Sheera, which can be made in few minutes to elaborate preparations like Gulab Jamun, we have a large collection of Indian mithai to choose from, and there is always a right one for everyone. For some sweets are a part of the daily meal, for some they are cravings and for some, it might be their comfort food. Imartis which are similar to Jalebi is a hot-seller on roadside shops and is a popular sweet served at weddings and chaat parties. It is even made during special occasions like Holi and Raksha Bandhan. Deep-fried malpuas, dipped in sugar syrup and served with creamy rabri are surely loved by everyone. My favorite comfort sweets are the golpapdi and shrikhand. Golpapdi is a traditional Gujarati sweet made by roasting whole wheat flour and adding jaggery and other ingredients like cardamom powder and poppy seeds which enhances the taste and aroma. Shrikhand is a simple mithai made by flavoring hung curd. It is sweetened with powdered sugar or natural sweeteners like fresh fruit purees. Gone are those days when women used to slog in the kitchen for hours to make traditional mithais. You can now cook them in a microwave within a few seconds and they taste no different! Here are few of my favorite recipes which are quick and easy to prepare and will help you to create delights when you have a major sweet tooth craving. Enjoy our Comfort Foods Indian Dessert Recipes.